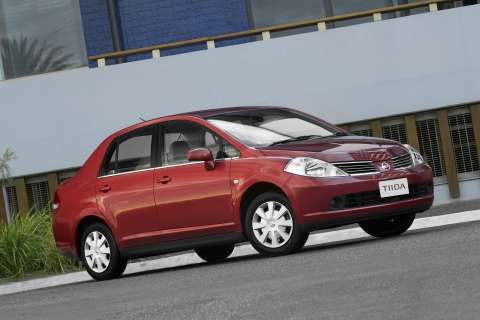 Nissan Australia announced today that the new Tiida sedan and hatch will be sourced from its Thailand plant in 2007. Situated outside Bangkok, the Siam Nissan Automobile Co., Ltd was opened in 1977 and recently underwent extensive renovations in readiness for major export expansion. Currently, the factory produces around 46,000 units per year, but this is set to increase four-fold when all new export markets come on line. Siam Nissan utilises Nissan’s benchmark manufacturing systems including the NPW (Nissan Production Way) and NIMS (Nissan Integrated Manufacturing System) as global production standards. The Nissan Tiida was launched into the Australian market in January 2006 and offers a competitive package with its modern design, premium finishes and spacious interior. The Tiida is powered by a DOHC 16-valve 1.8-litre engine developed in conjunction with Nissan’s alliance partner, Renault, and boasts excellent fuel economy and performance. Shinya Hannya, Nissan Australia’s managing director and chief executive officer, said the alternative sourcing of Tiida provided an opportunity to offer new benefits to Australian consumers. “Sourcing the Tiida from our Thailand factory will allow us to offer more efficient and timely delivery of the vehicles to Australia,” Mr Hannya said. The current programme pricing of Tiida is extremely competitive, with the entry-level ST now retailing for just $17,990* and the ST “Style Pack” option for $18,990*. The highly specified mid-level model, the ST-L, is priced at $19,990*, below the traditional sub-$20,000 entry level price point. The ST-L is the only vehicle in the small car category to come with standard curtain airbags for under $20,000. The sporty Q hatch remains at $22,990* and the prestigious Ti sedan is available for $24,990*. Automatic transmissions are a $2,000 option on all variants except the Ti sedan, which includes automatic transmission in its purchase price. *Price excludes dealer delivery and government charges.